As of fall 2016, the City of Orlando now provides a new set of financial tools to home and business owners to help them lower their utility bills and make our buildings more energy and water efficient through the Property Assessed Clean Energy (PACE) program. PACE removes the barriers of high upfront costs and provides low-interest financing to help residents and business owners looking to modernize, mitigate wind damage and improve the energy and water efficiency of their property. The program, approved by the State of Florida for local communities to implement, uses approved third-party administrators that provide funding through a special assessment levied on the property. As a result, the loan stays with the property and allows the assessment to transfer when a home or building is sold. Payments for the assessment are made through annual property taxes. This assessment can be amortized over a period of five to 20 years, which allows for the cost savings resulting from the improvements to be used to pay back the amount owed. Ygrene Energy Fund is the nation’s leading multi-state provider of residential and commercial property assessed clean energy financing. The award-winning, privately funded YgreneWorksTM program provides immediately accessible financing with no upfront costs for energy efficiency, renewables, and, in certain areas, water conservation, hurricane protection, electric vehicle charging stations and seismic upgrades. Ygrene is committed to making it easy for families to invest in their future and a healthier environment. Over the next five years, YgreneWorks is projected to create tens of thousands of local jobs and invest hundreds of millions into local economies. Here is a round up of the most common replacement home window types that homeowners install in their homes. Each window serves a different purpose and there are many different window styles to choose from. Arched windows are a beautiful addition to any living room or room where specialty shaped windows blend seamlessly. Awning windows are hinged on the top and open outward at the bottom, these house windows offer ventilation and protection from the rain. They are often paired with other windows for extended outside views. Bay windows are a combination of three or more windows that angle out beyond the house wall. The middle window is usually a large picture window. These classic kitchen windows crank open and out either to the left or the right depending on installation. When installed side by side they are a beautiful addition to any home. Rounded windows make a great piece in any home. You can choose between a full circle window or half circle window. Double-hung windows are another very common home window where both the upper and lower sash open. Egress windows are usually a new installation window installed by state law, they provide an escape from a home when other exits are blocked. Garden windows are perfect for plants and also great for a nice decorative shelf space usually found in a kitchen or living room. Glass block windows increase lights in rooms and are great accents for the home and offer some privacy for bathroom windows. Hopper windows tip down and outward and are great for compact spaces. Jalousie windows are great for increased air flow and light. They create gaps with a lever that cranks slats out like window blinds. Single-hung windows are the most common house window type, they are affordable, and have one bottom sash that opens up or down. Skylight window installations add light to your home and are great for compact upstairs rooms with viewable access to ceilings. Sliding windows come in small regular home windows that glide open or can be installed as sliding glass doors for entry into a home from a patio or backyard. Large picture house windows are big fixed rectangle windows that allow for beautiful views and are a gorgeous addition to any home. Useful information to know about construction. Types of water supply pipes used in Florida. 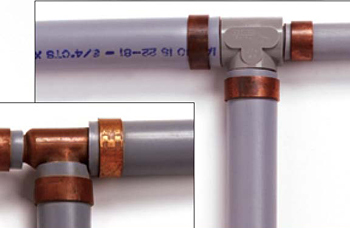 PVC and CPVC : most homes built after year 2000 is piped with CPVC supply pipes, This pipes are durable cheap and easy to install. If you see this type of pipes in a house you are safe. Usually this type of pipes are glued to . 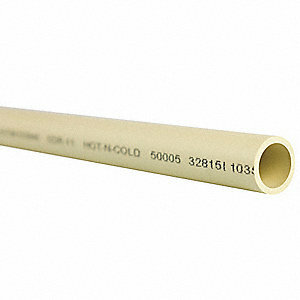 Polybutylene: A gray polymer pipes that was produced between 1978 and 1995. This type of pipes are obsolete and can cause floods. Most insurance companies will not insure that type of pipes and if exist in a house it needs to be replaced ASAP. Mostly it was used with compression connectors. 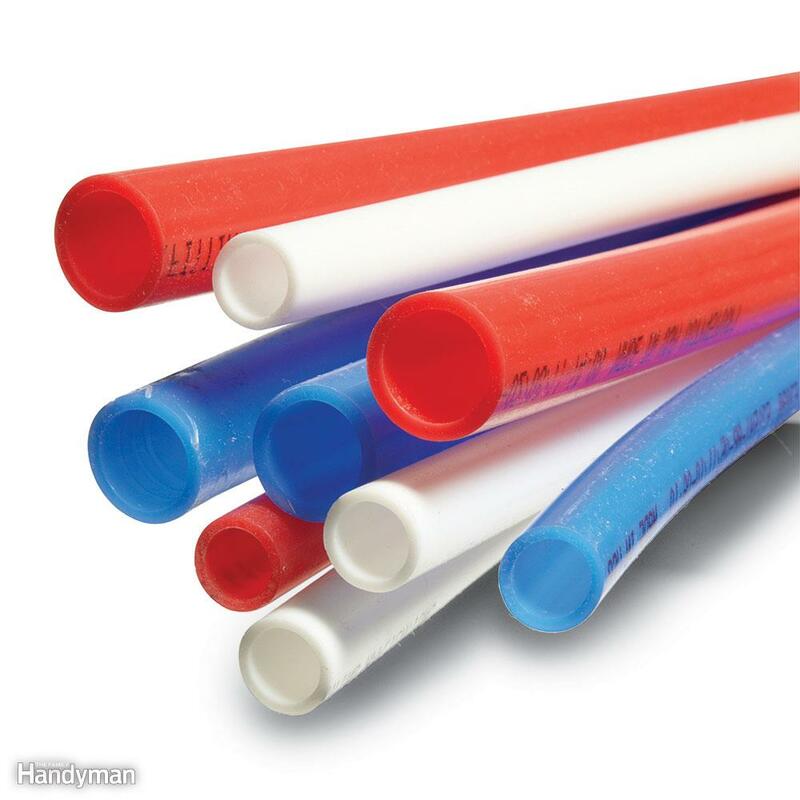 PEX : a type of polymer it comes in white, Blue and red colors it is easy to use because of its flexibility. Usually use with compression connectors or shark bite connectors. 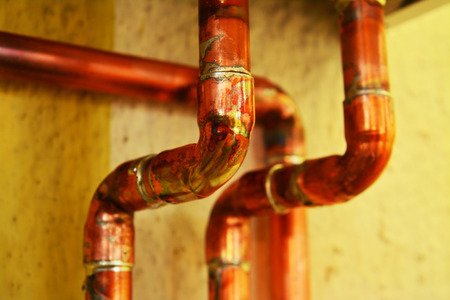 Copper pipes are the are used widely in older homes, copper pipes are an expectable type of pips is Florida but it needs to be inspected for corrosions, it is soldered to copper connectors. Residential requirements for insulation are divided by the location in the home. Framed wall insulation must meet or exceed R-13. For block walls, interior insulation must meet or exceed R-7.8, and exterior insulation must be R-6. Ceiling insulation must be much higher at R-30, and a raised floor must be at least R-13. Insulating power, or R-Value, is only one factor to consider when building or improving a home to keep it comfortable. Different materials respond to weather conditions differently. For example, traditional batting insulation will lose some of its insulating ability in high winds, making air-tight seals an important consideration when using this insulation type. Because each type of insulation responds to building and weather conditions differently, there’s more to consider beyond mandated insulation requirements if your goal is a comfortable home. Here’s a look at the different types of insulation, along with a few considerations for each. Batts and Rolls: This is the type of insulation that most people are familiar with. It is usually made from fiberglass but can also be made with mineral wool, plastic fibers, and natural fibers. It’s recommended for use in framed walls, floors, and ceilings because it’s easily laid between studs, joists, and beams.When choosing this type, safety precautions must be taken as the tiny fibers can be hazardous–especially if they are inhaled. It also does not provide an air-tight seal, so additional measures are necessary to prevent air leaks. insulation system is not as effective at keeping warm air in and does not provide any protection from air leaks, so it may not be suitable for cooler weather. Rigid Foam. Made from polystyrene, polyisocyanurate, or polyurethane, this type of insulation is recommended for unfinished walls, floors, and ceilings along with unvented, low-slope roofs. It provides excellent insulation with relatively low thickness.Rigid foam is easy to cut to size and apply to large structural areas such as ceilings and walls, but can be very difficult to fit around obstacles and into tight spaces. It must also be used in conjunction with building-code approved material for fire safety when used on interior spaces. For exterior spaces, it must be covered with a weatherproof facing. Loose Fill. Cellulose, fiberglass, and mineral wool are common materials used for loose-fill and blown-in insulation. It is an excellent choice for adding insulation to an existing home because it can be applied without entirely removing existing walls and into other hard-to-reach places.Loose-fill requires specialized machinery, so this is not a DIY project for most homeowners. Cellulose can also become too heavy for some attics, and it’s susceptible to mold infestations when exposed to damp conditions. Also, as loose-fill compresses over time, it loses some of its effectiveness. Spray Foam. Typically a chemical mixture, spray foam is an excellent choice for adding insulation to existing finished areas and for reaching difficult and irregular spaces. It is easiest to apply on a new construction or a home undergoing a significant renovation, as exposed structures make a tightly sealed home more possible. Foam is resistant to water damage and mold growth, making it the right choice for humid climates and areas that are susceptible to flooding, heavy rains, and hurricanes.Spray foam insulation also requires special machinery and an experienced installer for proper application. It can be a bit more expensive than other insulation types. However, in exchange for these drawbacks, spray foam provides superior coverage. Because it seals directly to the surface it is covering, spray foam insulation reduces the need for air-sealing tasks such as caulking. During the process of purchasing your home, you will often be in contact with specialists who will utilize beneficial resources to actively pursue your goal of becoming a home owner. UNDERSTANDING YOUR CREDIT HISTORY AND SCORE: Whether you have a good credit score, or not, you may still qualify for a loan. THE DOCUMENTATION PROCESS: There are certain forms that you may have to provide such as: W-2, bank statements, tax returns, employment verication etc. CONSULT WITH A PROFESSIONAL: They will be able to help guide you through the process, establish a spending strategy and determine what you will be able to afford. MEET WITH YOUR LENDER: After analyzing your income, expenses and fiscal goals, they will help to conclude the mortgage that you qualify for. COLLABORATE WITH LENDER: Speak to your Lender about the mortgage application and receiving a pre-approval letter. The pre-approval letter ultimately serves as an approximation for the amount that you’re able to borrow (taking into account that your financial status remains static). This proves to home sellers that you’re genuinely interested in purchasing a home. Research and reaching out to a qualied professional is essential. You have to know and remain committed to sticking to your budget. Lastly, make sure that you are able to take on the Financial responsibilities of a homeowner. Failure to follow these new rules may result in the delay or termination of your mortgage loan! As of 2010, Fannie Mae and Freddie Mac instituted a new rule. Lenders are required to verbally re-verify your employment and update your credit report within 10 days of your closing. We must identify and investigate any new debts or credit inquires. Any substantive change from your original credit report to the final one may require explanation and delay the closing. • NO CASH DEPOSITS – while we do recognize that “Cash is King”, unfortunately in the mortgage lending industry nothing will kill your deal faster than un-sourced cash deposits.  Moving around large sums of money – even deposits may cause a closing delay. A mortgage requirement is proof of all assets (checking, savings, brokerage, etc.). Current asset statements prior to closing may be required. If required, unusual activity will have to be explained and documented. Explaining and documenting large deposits is a hassle and can create time delays for your closing.  All transferring of funds must be sourced. This means that we need all bank statements showing funds transferred to and from. Keep this in mind prior to making multiple transfers. • Do not apply for ANY new credit during the loan process before consulting with us. Common occurrences include – new autos loans or leases, new furniture, trips. • Continue using your credit cards in your typical manner. Please refrain from abnormal activity. Don’t make large purchases on existing credit cards or even make large lump sum payments while your loan is in process. • Don’t quit or change employment without notifying us. Changing jobs may not be against the rules. But if we don’t know about it, the closing will come to a halt. Please let us know of any employment or income changes as soon as you know. Big Purchases like New Appliances, Vacations and Christmas are common pitfalls. Who is responsible for damaged caused by golf balls? STUART, Fla. – April 9, 2018 – Question: My condo window was broken yesterday by a golf ball, and the guy who did it admitted to the ball being his and later backed out leaving us to figure if the condo association is responsible or if we are. We seem to have both the golf course and our condo association not wanting to take responsibility for broken windows or damaged vehicles, but the fence isn’t built tall enough or protected with netting to keep the balls off our area. Generally speaking, the association and the golf course are likely going to be protected from liability under your condominium and/or homeowners association documents. Usually, there is language in the documents that provide that owners assume all risks associated with errant golf balls and agree not to make any claims against the association, developer, golf club or any other party other than the golfer who caused the property damage or personal injury. However, if the issue only began after the course made changes to the design, there is a possibility you may be able to recover your damages and to force the golf course to take action. This leads us to the next question about the liability of the golfer who hit the offending golf ball. While, ideally, golfers are supposed to contact owners when they cause damage, most do not. Unfortunately, it is often very difficult to find the golfer who is responsible for the damage and, even if you do, you would have to prove negligence against the golfer and show that he or she failed to use reasonable care. If the golfer is playing “normally” and just hit a bad shot, there may not be enough to prove negligence under most circumstances. Keep in mind that when bringing a claim, the legal burden is going to be on the damaged party to prove the negligence and the underlying facts may not be as clear cut as it might seem at first blush. If you live along a golf course, your best bet is to check your homeowner’s insurance or auto insurance to see what is covered. Also, depending upon what is in your association documents, you can also inquire from the board about whether you can put up netting or another barrier to protect your home. Finally, you should always check with an attorney experienced in Association law to look at your association documents to give you further advice that is more specific to your community and your personal situation. Answer: Board members of an HOA are there to represent the interests of all of the homeowners who reside in the community. To that end, under Florida common-law, a board member’s duty to act in a manner which is in the best interests of the community creates a fiduciary duty which encompasses the obligations of loyalty to the homeowners, diligence to adhere to the standard of reasonable care which a reasonable prudent director would exercise in the performance of his or her work, and the duty to act with loyalty and good faith to the homeowners. The guiding principle that protects Board members from their decisions is the “business judgment rule.” Under the “business judgment rule,” directors are presumed to have acted properly and in good faith and are only called upon to account for their actions when they are shown to have engaged in fraud, bad faith or an abuse of discretion. If the business judgment rule applies, there is a “presumption” that in making a business decision, the directors of a corporation acted on an informed basis, in good faith and in the honest belief that the action taken was in the best interests of the company. Based upon these legal principles, you, as a board member, are shielded from personal liability as long as the decisions you make are within your “business judgment” and not in conduct that amounts to fraud, self-dealing, or unjust enrichment. In other words, merely making a bad decision or doing something that is considered “negligent” does not generally give to a claim for breach of fiduciary duty even if such negligence caused damage to the association. This is why is important to base decisions based in whole or in part on the advice of competent professionals when at all possible. Editor’s note: Attorneys at Goede, Adamczyk, DeBoest & Cross, PLLC respond to questions about Florida community association law. The firm represents community associations throughout Florida and focuses on condominium and homeowner association law, real estate law, civil litigation, estate planning and commercial transactions. Harris B. Katz, Esq., is managing partner, Boca Raton of the Law Firm Goede, Adamczyk, DeBoest & Cross, PLLC. Blueprints are those rolls of blue paper that construction engineers and architects carry around and pore over at job sites, during technical meetings etc. They are actually white-on-blue reproductions of technical drawings of engineering or architecture designs made using a contact print process on light-sensitive paper, sometimes linen, Mylar or imitation vellum. Reading blueprints need some degree of getting used to especially for non-engineers or architects. Hundreds of blueprint symbols are used and without any strict international standards, there may be some minor variations to some of them depending on geographical location. Landscaping – shows landscaping views and irrigation. This is sometimes included in the civil drawings. Structural – indicates dimensions and sizing of structural design with details for steel, joists, concrete, footings, shafts, beams etc. Mechanical – indicates locations, sizes and specs for HVAC ducts, piping and other equipment. Plumbing – indicates locations, sizes and specs for all plumbing fixtures, piping and equipment. Electrical – indicates locations, circuits and specs for all electrical equipment and fixtures. Life of an Escrow, What is an Escrow? guarantees to ensure that any claims will be paid in a timely fashion. they or their heirs have any interest in the property. In 2015, the Consumer Financial Protection Bureau (CFPB) will implement the new TILA/RESPA Integrated Disclosure Rule (TRID) forms – the Loan Estimate and the Closing Disclosure. These two forms will replace the traditional Good Faith Estimate, Truth in Lending disclosure and the HUD-1 Settlement Statement in most residential real estate transactions. TRID also includes new requirements for the proper timing and delivery of the new forms. analysis of facts about the property; an opinion of value. be given to the consumer three (3) business days before closing. becomes the legal owner and title insurance becomes effective. same as close of escrow or settlement. made of the real property.